Eastaugh CS (2011). Comment on Chiesi et al. (2011): “Use of BIOME-BGC to simulate Mediterranean forest carbon stocks”. iForest 4: 248-248. The mechanistic forest growth model BIOME-BGC utilizes a “spin-up” procedure to estimate site parameters for forests in a steady-state condition, as they may have been expected to be prior to anthropogenic influence. Forests in this condition have no net growth, as living biomass accumulation is balanced by mortality. 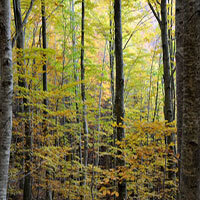 To simulate current ecosystems it is necessary to reset the model to reflect a forest of the correct development stage. The alternative approach of simply post-adjusting the estimates of net primary production is fundamentally flawed, and should not be pursued. Use of BIOME_BGC to simulate Mediterranean forest carbon stocks. iForest 4: 121-127. Assessing the impacts of climate change and nitrogen deposition on Norway spruce (Picea abies L. Karst) growth in Austria with BIOME-BGC. Tree Physiology 31(3):262-274. Using mechanistic modelling within forest ecosystem restoration. Forest Ecology and Management 159: 111-131. Evaluating the self-initialization procedure for large-scale ecosystem models. Global Change Biology 12 (9): 1658-1669.